We stock all the best casino games! What's your slot? Progressive jackpot? Movie-themed? Vegas-style? We have the latest games from all the top providers, including Microgaming, NetEnt and WMS. Whatever your game, we've got it. Get lucky from the moment you deposit, we’re not letting you play empty handed. Get on your way to fun casino play with our welcome offer. Hit the tables and play your cards on the felt in our state-of-the-art live casino. Get all the casino action from the comfort of your own home. Here's where you can check our new slots, latest big winners and many more exciting news. Get DrueckGlueck on your mobile device and play all your favourite casino games wherever you go. The DrueckGlueck App is available on Android and iOS. This strange looking bunch are the team behind DrueckGlueck casino. We work hard to provide you guys with the best online casino experience. Get to know a little more about the DrueckGlueck team. We have a fantastic variety of slots to play and the prizes you could win are simply spectacular! Take your pick from daily Freerolls and Buy-in Tournaments. It's easy to join and play and there is always something amazing to win. Amazing Competitions - Fantastic prizes! 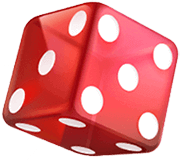 At DrueckGlueck Online Casino there is more than cash to be won! You can also win fantastic prizes like fancy cars, luxury holidays, concert and sports events tickets and many other exciting competition rewards! We encourage all our players to enjoy DrueckGlueck casino responsibly. Please read our Responsible Gaming page for more info. Before you get lucky at DrueckGlueck, take advantage of the welcome offer and boost your balance, who knows where it could take you!